PIC: If I get hungry at work, I have have 10lbs of brown rice at my desk… Thx @unpoete for splitting the bag w/ me! 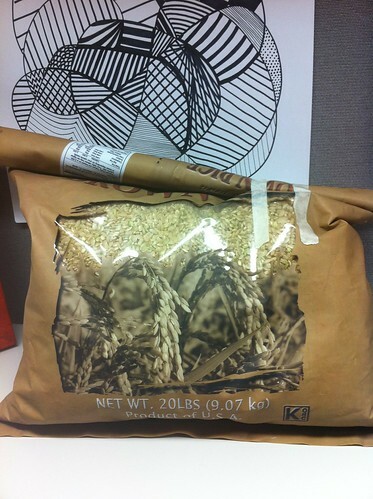 PIC: If I get hungry at work, I have have 10lbs of brown rice at my desk… Thx @unpoete for splitting the bag w/ me!, originally uploaded by @jozjozjoz. The jozjozjoz.com archives for Monday, July 9th, 2012.